In 1443, Hangeul was created the name of Hunminjeongeum Manuscript by King Sejong. Hangeul is a thing that King Sejong made for the people feeling sorry for their discomfort using the language. Although Hangeul was invented approximately five hundred years ago, the principle behind its invention still remains competent from the perspective of the modern linguistics. Hangeul is the first script that distinguishes the initial, middle and final sound of a syllable. In addition, Hangeul maintains a scientific principle in which the consonants and vowels that are similar in their pronunciations resemble one another in their shapes. The Hangeul Proclamation day is October 9th. To remind how thankful the Hangeul is, CP reporters visited the National Hangeul Museum situated in Seoul. 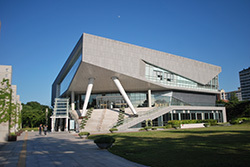 The museum was well organized for visitors both Korean and foreigners. There were lots of digitalized materials that visitors can have experience with it. “When the language prospers, the nation prospers; and when it declines, the nation also goes under.” This is what Ju Si-gyeong, one of the founders of modern Korean linguistics, said about Hangeul. Do you agree with the saying that language is the spine of the country? What do you think about the Hangeul in daily life? During the Japanese colonial era, the use of Korean language, including Hangeul, was officially banned. Nevertheless, Korean language researchers continued their study of Hangeul and maintained their efforts to spread education on Hangeul throughout the country. For example, Hangeul was actively studied by the Joseon Language Research Institute, established by the disciples of Ju Sigyeong, who took a big role in modern Korean linguistics. In addition to conducting important research, this group worked diligently to maintain Hangeul education by producing various teaching materials for Hangeul and announced the “Draft for a Unified Spelling System” that became the standard for writing Hangeul. After the independence of Korea from Japan in 1945, Hangeul was reborn as the foundation of the culture and spirit of the Korean people. 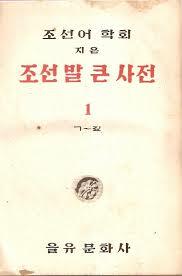 Hangeul directly improved the lives of the common people by aiding the spread of practical knowledge. 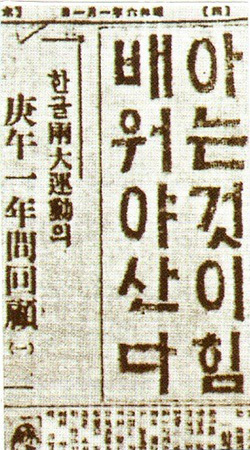 In particular, in the wake of Imjinwaeran-the Japanese invasions of Korea (1592-1598)-Hangeul translations of medical and military books were distributed to inform people how to treat diseases and handle weapons. 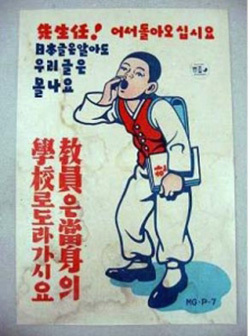 Other publications in Hangeul offered important knowledge for day-to-day living on topics such as overcoming agricultural techniques and pregnancy childbirth. 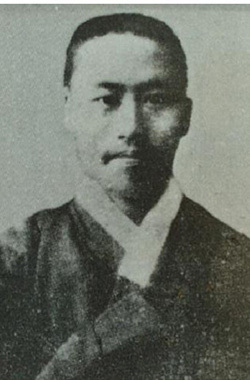 In the modern period Ju Si-gyeong, a Joseon language researcher, taught the Korean language to people at night schools. 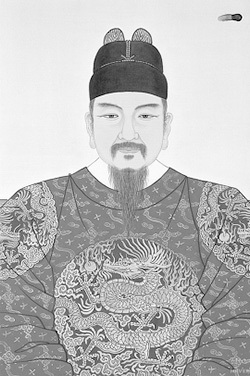 His followers, influenced by his teaching, organized a research society and devoted themselves to study spelling system of Hangeul, standardize system and publish Korean dictionaries. After those earnest efforts of people who wanted to keep use the Korean language, Hangeul spread out fastly through all of the Korea. The books in Korean and the role play were widely spreaded out. Hangeul brought many changes in the social and culture levels of Joseon. As the common people of Joseon began to easily learn and use Hangeul, more people could receive and share information. Therefore, Hangeul was widely spread into the fields of education, religion, art and daily life. Hangeul that has become the common written language since the late Joseon dynasty goes through another change in its transmission with the nineteenth-century modernization. In the nineteenth century the modernized printing technology promoted the mass production of newspapers, magazines, novels and more. Moreover, the mechanized transcription of Hangeul since the 20 century has expanded the capacity of Hangeul from an alphabet to a resource for cultural enrichment in Korea. 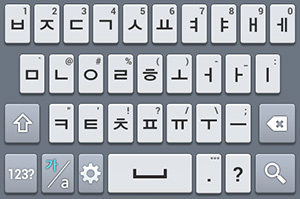 In the fast spread of Hangeul, its principle of the invention made a key role in easy learning. The shapes of the consonants modeled after those of their speech organs. 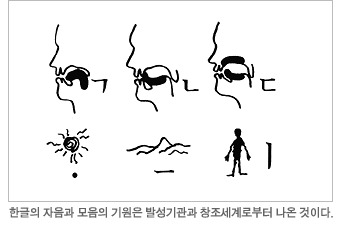 The basic Hangeul consonants-ㄱ,ㄴ,ㅁ,ㅅ,andㅇ-are shaped after carefully observing the movements of the speech organs when those consonants are spoken. Thus, the shapes of the basic consonant reflect those of their speech organs. Also, Hangeul combines the initial consonant, middle vowed and final consonant. Combining consonants and vowels allows for more efficient writing than laying them out does. Combining consonants and vowels takes up a little space and suits both horizontal and vertical writing. This combination rule increases the legibility of words and accordingly reading speed. With their simple, efficient shapes, the vowels and consonants of Hangeul exemplify the deft beauty of modern formative art, becoming popular subjects for contemporary artists. Innovative new fonts are being developed to reflect people’s personal attitudes and sentiments. Moving beyond its inherent status as letters, Hangeul has broken free from the written page to appear on artworks, clothing, and other everyday objects. 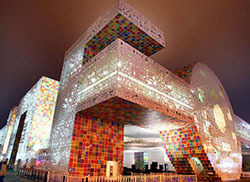 Hangeul is continuously being transformed into diverse affectations related to art, architecture, fashion and design. Hangeul gives shape to the dynamic changes and regional varieties of the Korean language and culture. Today, in the age of information and digitization, Hangeul continues to thrive taking on new forms for use with various communication devices. Hangeul is now being recreated as a vast culture unto itself. Using Hangeul is accustomed to us like breathing in and out. However, we should not forget Hangeul is the present that fills our every second of life.